It is the pressure, the force of the blood pushing against the inside walls of your arteries, that is being discussed when we talk about blood "pressure." You've probably heard the sound of a heart beating at some time. It sounds sort of like: thump-THUMP, thump-THUMP, thump-THUMP, thump-THUMP. The "thump" is the sound of the auricles beating and pumping the blood into the bigger, more powerful chambers, the ventricles. The "THUMP" is the sound of the ventricles beating, and pumping the blood away from the heart (see the above illustration). When the powerful ventricles contract (the "THUMP"), that is the moment of greatest pressure called the "systolic pressure." Between one "thump-THUMP" and the next "thump-THUMP" is a moment when the heart is not beating at all, that is the moment of lowest pressure called the "diastolic pressure." 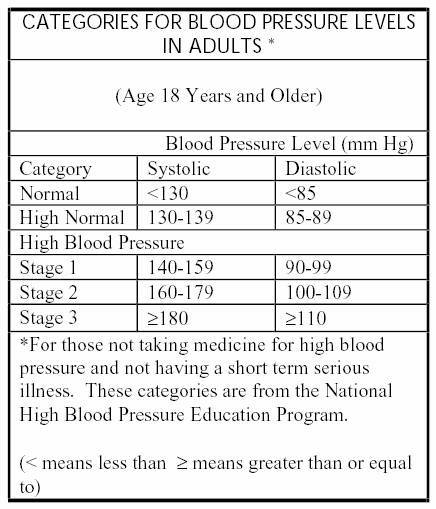 When doctors or nurses measure your blood pressure, they usually give it to you as two numbers, the "systolic" over the "diastolic" or the high over the low measurements. Blood pressure is affected by small smooth muscles that line the inside walls of your blood vessels. Under normal conditions when these muscles are relaxed, your arteries operate like soft rubber tubes that expand with each beat of your heart, and your blood pressure remains normal. When these muscles tense up, the arteries become narrower, more rigid and less flexible. Under these conditions the heart has to beat harder to keep the blood flowing through narrowed arteries which raises pressure. If these muscles are tense all the time, the blood pressure will remain high. This is called hypertension! Continuous high blood pressure puts extra strain, wear and tear on your heart and arteries, that often lead to heart attacks and strokes. What are the main causes of these smooth muscles inside your arteries tensing all the time that drive your blood pressure up? Not having enough magnesium is one of the primary causes of high blood pressure. "Magnesium is essential for cells to maintain proper balances of other minerals such as potassium, sodium, and calcium. "When cells are deficient in magnesium, this balance is disrupted. "In the smooth muscle cells of the blood vessels, this sets the stage for constriction [tensing] and elevation of blood pressure." Why can't we get enough magnesium from the food we eat? "As many as half of us in the United States are magnesium deficient. "Our soils are becoming depleted of magnesium, which eliminates the natural opportunity to receive magnesium from fruits, vegetables, and water." It contains a unique combination of vitamins and minerals, especially magnesium, that will nourish the cells of your arteries with the nutrition they need. Each ingredient in this formula has been specifically chosen for its abilities to nutritionally support healthy and normal blood pressure levels. 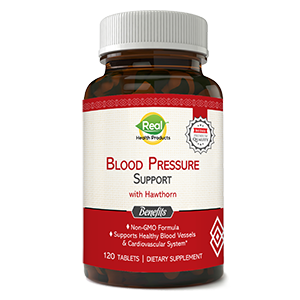 Order your RHP® Blood Pressure Support Formula today and begin to feed your body the nutrients it needs to support healthy blood pressure.